Amna Khaliq joined Wilsons in 2001. She qualified as a solicitor in 2005, and was admitted to the Law Society’s Advanced Family Panel in 2012. She was made a partner in 2015. Amna undertakes private and legal aid work. Her practice and extensive knowledge includes representation in divorce and financial matters, injunction proceedings and child arrangement matters. Amna deals with complex international children cases and became accredited to The International Child Abduction and Contact Unit (ICACU) in 2016, where she is regularly instructed through ICACU in complex international matters involving Hague Convention cases concerning child abduction, the registration and enforcement of Orders made in jurisdictions which are signatories to B II A as well as applications under Article 21 of the Hague Convention. Amna receives instructions from the ICACU to act for a parent when their child has been abducted into the UK. She is also instructed directly by parents in both Hague and non-Hague convention international family matters and regularly acts in Wardship proceedings. She has represented parents at the High Court and has successfully prevented removal and secured the return of children to the UK. She is very familiar with emergency procedures and dealing with the Tipstaff – the officer at the High Court responsible for enforcing court orders. 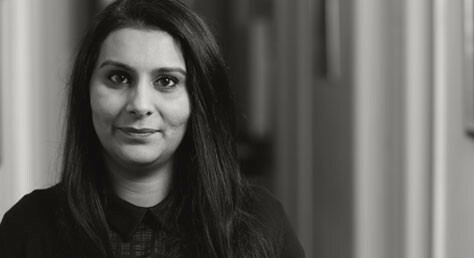 Amna is the head of the surrogacy and adoption team and is assisting in developing Wilsons growing practice for alternative families, advising on co-parenting arrangements and surrogacy. Amna advises in respect of legal issues arising from the creation and implementation of surrogacy arrangements and The Human Fertilisation and Embryology Act 2008 and has successfully issued proceedings and obtained parental orders for clients. She is able to advise on all aspects of adoption matters; including those with an international element, where she is able to work collaboratively with our immigration team. She represents parents and grandparents in care proceedings, including cases with an international element, female genital mutilation, child trafficking, sexual abuse and non-accidental injuries. Amna has been admitted to the Child Abduction and Contact Units referral list and Amna has also been accredited to the Law Society Family Law Panel since 2011, and the Advanced Family Law Panel since 2012 in the areas of child abduction and violence in the home. Amna is a Member of Resolution.